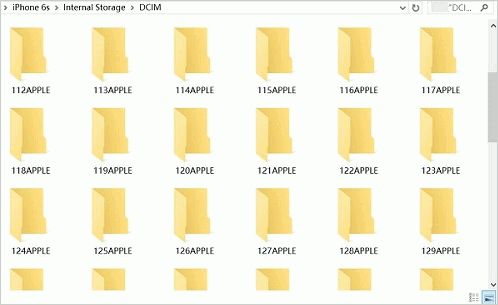 "I recently got a new Mac device and I want to continue my usual trend of saving all my photos on a USB instead of using up my precious computer memory space. I have tried to use various support methods but I don't have a solution yet. For easy understanding, I am having issues that relate to how to transfer photos from iPhone to USB. I would like to import photos from my iPhone to mac without deleting them; I would also like to transfer them to a USB. Please tell me if there are any methods of achieving this?" 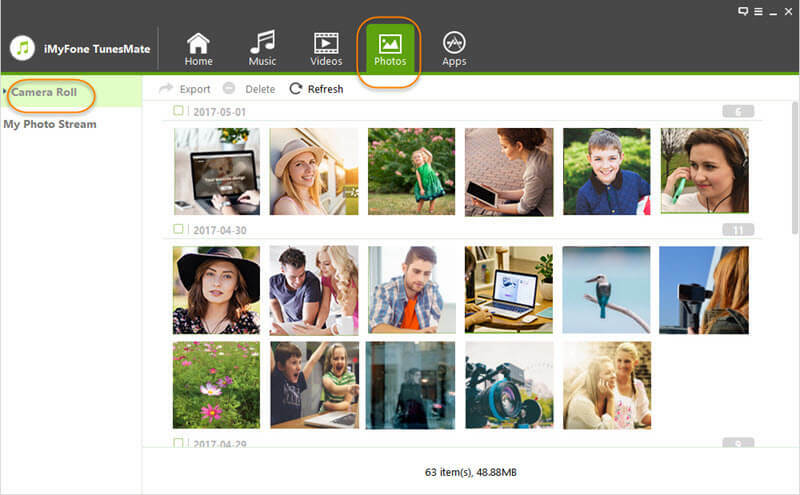 The most convenient way to save photos from iPhone to USB should be using the iMyFone iPhone Photo Transfer, which allows you to transfer photos, music, videos freely between iPhone and computer/iTunes/USB drive. It gives you maximum control over all your iPhone media files, and all possible solutions to transfer or manage your iPhone files. Transfer photos from iPhone to computer/USB flash drive, selectively or all at once. View and backup photos albums from iPhone to computer without any hassle. Freely transfer videos between iPhone and computer, including large videos and recorded videos in camera roll. Manage iOS 11 HEIC Photos: View, transfer and delete HEIC photos or HEVC videos. 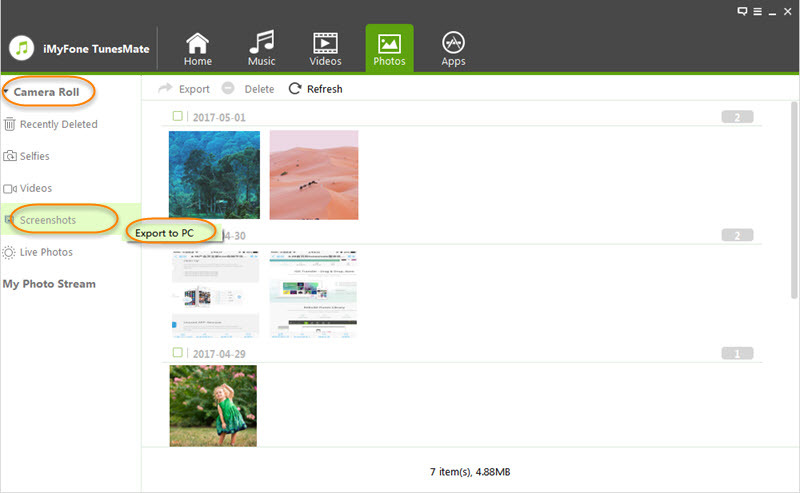 Can transfer and manage all kinds of media files: camera roll, photo stream, music, video, playlists, podcasts, audiobooks, etc. Step 1: Have iMyFone iPhone Transfer installed on your computer. Connect your iPhone and your USB flash drive to computer and launch the software. Step 2: Tap the Photos tab at the top and you will be in the window that shows you all your photos in camera. Step 3: All the photos are displayed according to the added date. Select the photos there. 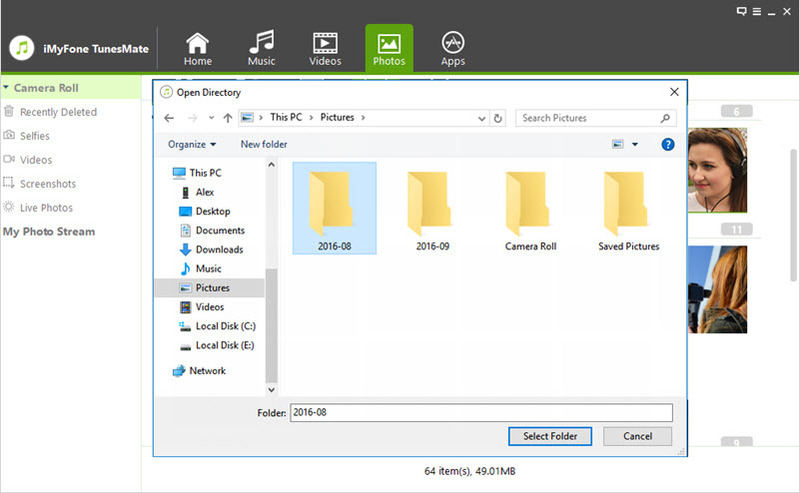 Step 4: Tap Export > Export to PC/Mac and browse your USB drive to store the photos. Tap Select Folder to get the process started. Note: If you want to transfer all the photos, there is a faster way, by simply clicking "Backup Photos to PC/Mac" on the home interface of iMyFone iPhone Transfer. When you are in Photos window on TunesMate, you will find that all your photo albums are displayed at the left sidebar. Just right click on the specific album and choose Export to PC/Mac. Then select your USB drive to access the transferred albums. You can get iPhone photos to your USB by using Windows Explorer. Ensure that you have the latest version of iTunes installed on your PC. Connect your iPhone and USB flash drive to PC. Your iPhone will be shown in This PC/Computer. Go into it. Tap Internal Storage > DCIM Folder. Select and copy all the photos you need from all DCIM folders, and paste them to your USB drive. This method is very straightforward, but it requires a lot of work to locate the photos. All the photos are divided into different folders according to added date. But the folders are not named by date. It's time-consuming to find the photos you want because you need to open every folder until you find the one you want. You cannot view the photos by albums, or cannot transfer iPhone albums to external hard drive. It doesn't support HEIC photos. 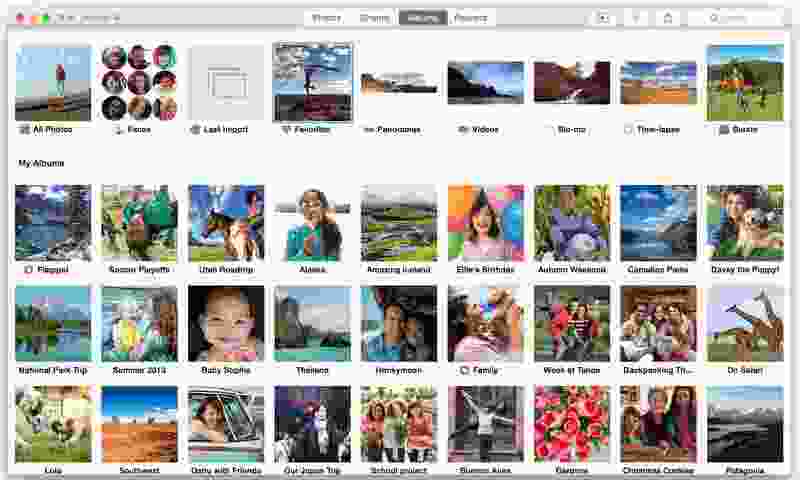 The Photos app may not be present on older versions of the Mac operating system but the iPhoto will be present. The steps involved to transfer iPhone photos to Mac using iPhoto are similar to the new Photos app. With the aid of a USB or iOS cable, connect iPhone to your Mac. Check if the Photos app automatically opens. If it doesn't, manually open it. It will show you all your iPhone photos there. Select the photos you wish to transfer from your iPhone to Mac and click on the "Import Selected" button. You can also select "Import New" (All New Items) if you want to transfer only some photos. When it finishes, connect your USB stick to Mac. Select and copy the photos, open the USB folder and paste them into the stick. Of course, you cannot transfer photos albums from iPhone to USB drive in this way neither. It does support to transfer the videos in your Photos app on iPhone to computer. It's actually easy to tranfer photos from iPhone to USB flash drive without iTunes by using the media transfer tool iMyFone TunesMate. It would no longer be a hard job then you can keep your iPhone photos to a USB flash drive.